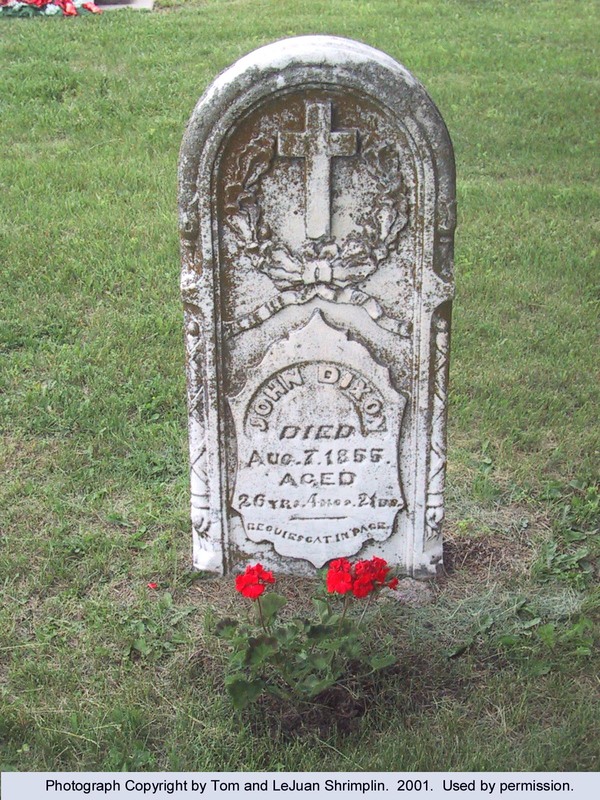 Historical Note: Earliest tombstone is for John Dixon who died 7 August 1855, age 26, during the cholera epidemic. The flag pole in the center of the cemetery was dedicated by George Lee Wingate, Post 207, American Legion, Ogden, Kansas, “In memory of those who have faithfully served their countyr.” The Knights of Columbus dedicated a stone in memory of victims of abortion. Directions: In Ogden, go north on North Walnut Street, past the Ogden Protestant Cemetery. Turn left (west), onto Harris Road. The cemetery is less than a mile on the left (south) side of the road.